Jacob was born with a mission to be a chariot to the sefira (spiritual dimension) of Tiferet. This is the central column and the balance. Right is Abraham, left is Isaac and both were not enough to establish the connection to the upper three sefirot (Keter, Chokmah and Binah). He was born perfect and all his actions were to follow and support the spiritual system. Jacob got out of his home city and reached a place where he slept, had a dream (the most famous dream in the world…) and after he woke up he realized that he found the gates of heaven. In the dream, G-d reveals an amazing future for Jacob and promises not to leave him until he fulfills his words to Jacob. Jacob didn\’t even ask to see G-d.
Genesis 25:27 " וְיַעֲקֹב אִישׁ תָּם ", the English translation for this is "Jacob was a quiet man ", but the word " תָּם " in Hebrew means flawless and complete. Abraham had two sons, Ishmael and Isaac. Ishmael came from the Left and Isaac from the right. Isaac brought Esau and Jacob. Esau from the left and Jacob from the Right. Jacob knew about the great mission he had in life even before he was born. He let Esau come out first but he was holding his heal. He knew Esau\’s weaknesses and used it to buy his birthrights. Now Jacob goes Lavan, his uncle to have a stronger control over the left side energy. The early sages tell us that Rachel and Leah were twins and at the age of 14 when Jacob met them. Leah was supposed to marry Esau and Rachel was supposed to marry Jacob. Rashi comments that Leah\’s eyes were soft (or weak as some translations use) because she cried a lot thinking of her future marriage to Esau. Leah was born first and she is related to the level of Binah (female side) represented by the first letter " ה " of the Tetragrammaton. Rachel is related to Malchut, the last letter " ה " of the Tetragrammaton. Jacob was supposed to take his place in the Middle as Tiferet, Zeir Anpin, and the letter " ו " of the Tetragrammaton. Jacob\’s soul was determined to fulfill its mission and was ready for any work required to achieve that goal. The whole spiritual system depended upon him. Jacob had to succeed and he put a heavy price on himself to connect to his wife. He \’volunteered\’ seven years of work for Rachel. Remember that Jacob was about 60 years old at that time. The Zohar asks why Jacob didn\’t suggest less time like 10 or 12 months. The reason was that Jacob didn\’t look for a \’good deal\’ with his uncle, Lavan. He wanted to pay the full price to connect to his wife. He knew that she is on the spiritual level he needs to connect and seven years were the exact time needed to connect to all the seven levels. In a well performed wedding, the bride (Malchut) surrounds the groom, seven times until she stands next to him. This connection is finalized with seven blessings. Hinduism also takes the bride and groom together where they circle a fire seven times. On the last round (seventh) the female leads. After the seven years, Jacob approached Lavan and asked for his wife (Genesis 29:21) " וַיֹּאמֶר יַעֲקֹב אֶל-לָבָן הָבָה אֶת-אִשְׁתִּי, כִּי מָלְאוּ יָמָי; וְאָבוֹאָה, אֵלֶיהָ " "And Jacob said unto Laban: \’Give me my wife, for my days are filled, that I may go in unto her". Even though the deal was to work seven years for Rachel, Jacob did not ask specifically for her, he asked for his wife. The Zohar reveals that G-d wanted him to marry Leah first and connect to Binah, which is a higher and concealed level. Lavan\’s two twin girls were planned to marry his sister\’s twin boys. Leah was intended to Esau and Rachel for Jacob. Lavan knew that he will benefit more from keeping Jacob longer with him. Jacob already carried the blessing from G-d (Genesis 28:14) " וְנִבְרְכוּ בְךָ כָּל-מִשְׁפְּחֹת הָאֲדָמָה, וּבְזַרְעֶךָ " "…And in you and in your seed shall all the families of the earth be blessed". His \’businesses\’ grew tremendously while Jacob was working for him. Lavan\’s selfishness was good for Jacob and he could fulfill his spiritual mission and connect to Leah and Rachel (Binah and Malchut). This connection created a flow of light to the world through him and we see that after he connected to Rachel, Leah began having children. All of the children were spiritual giants with awesome forces and that is because Jacob made the perfect connection and the light could flow without negativity attached to it. The sages also tell us that only after Rachel was given to Jacob; Lavan could have sons of his own. Jacob\’s work affected everything. It wasn\’t a selfish action; he did it for the whole world. The world became stable and the upper two triangles were formed. (Keter. Chokmah, Binah and Chessed, Gevurah, Tiferet). 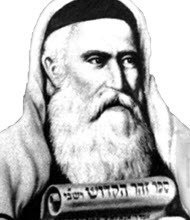 Josef came after Jacob as the Sefirah of Yesod to extend the central column and channel the light to Malchut. Aharon and Moshe (Netzach and Hod) formed the vessel by bringing the Torah to the people. The Zohar of Vayetze, talks about the power of consciousness in relation to Jacob\’s actions. A pure consciousness and actions connect us to our mission in life and let us draw successful outcome. “A pure consciousness and actions connect us to our mission in life and let us draw successful outcome”. It is amazing the perceptions formed in the mind when reading the comentaries and Zohar. Thank you for your work.